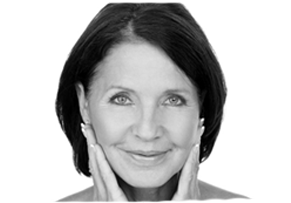 Environ Skincare pioneer Dr Des Fernandes has co-written a brilliant new book. It’s fun, informative, extremely interesting and really easy to follow, we have a copy in the clinic for all of our clients to browse through with a cuppa! Your Skin Factory gives a clear explanation of how the skin works and offers an ideal introduction for anyone wanting to understand skin and how to care for and protect it. The comical graphics and before/after photos make this book a really interesting read and trust me I don’t normally ‘do’ reading. The skincare Dr Des refers to in the book is Environ, we stock this fantastic cosmeceutical range at Changes. The AVST moisturiser costs as a little as £35.00 and can last up to 3 months; this is only 38p a day! Consultations are free and we have lots of free samples, so what are you waiting for book now 02392 382000. Dr Fernandes relates his ground-breaking discoveries on the most effective ways to maintain healthy and radiant skin, based on more than thirty years of research.